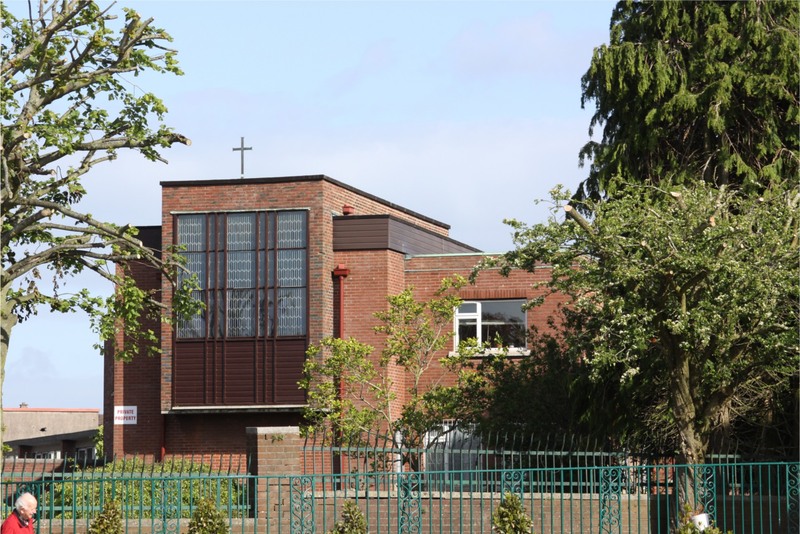 Ballyphehane was an expanding suburb in Cork in the early 50’s and had a very successful urban plan with schools and churches built at the same time as the housing stock. 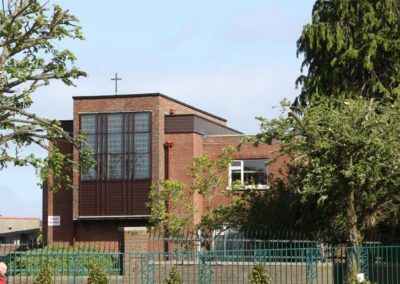 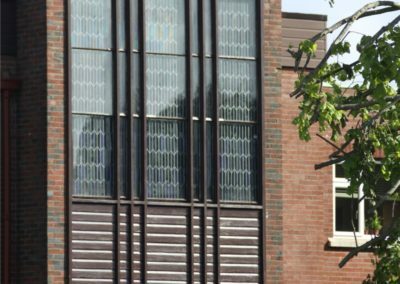 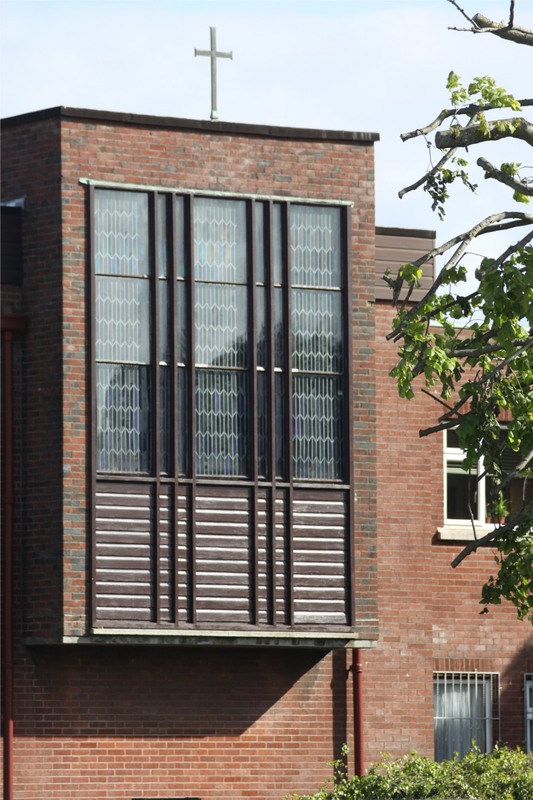 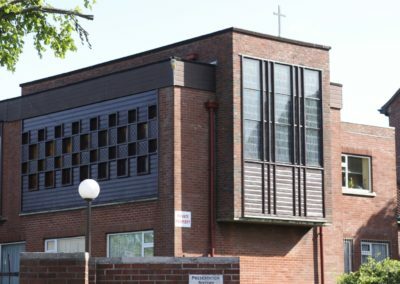 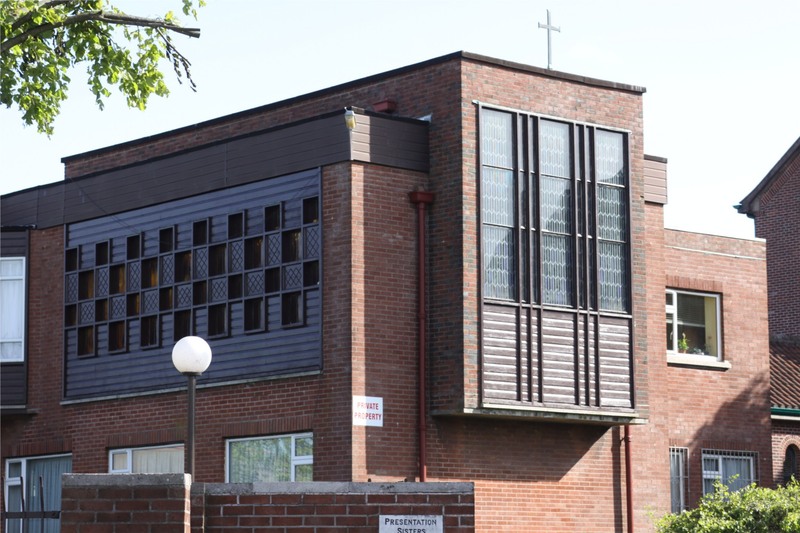 This Convent was competed in 1955, to the designs of Frank Murphy, and is a very unusual and forward looking design for its time. 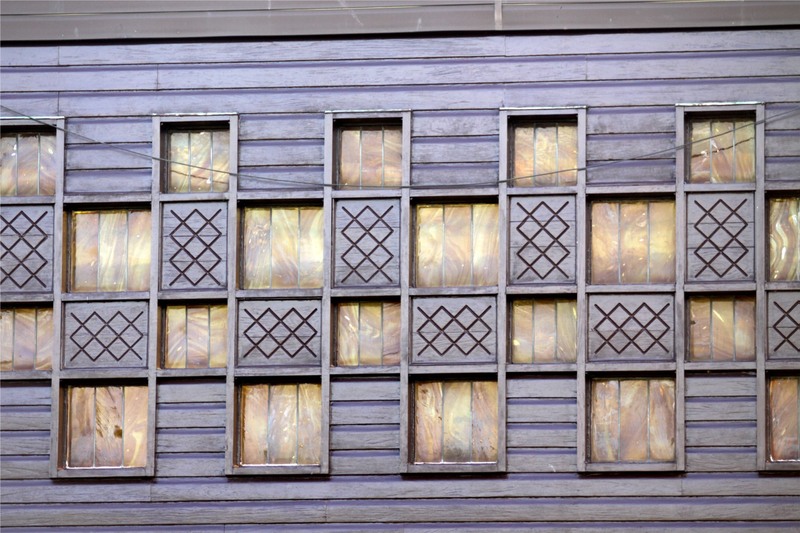 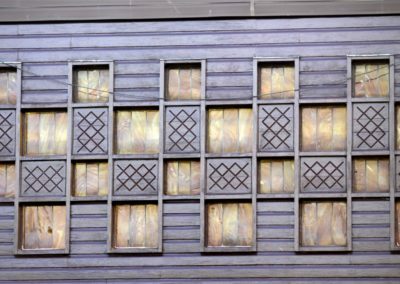 The surface treatment with timber paneling and glazing creates an unusual and interesting texture which still retains an original and interesting quality for the passerby.